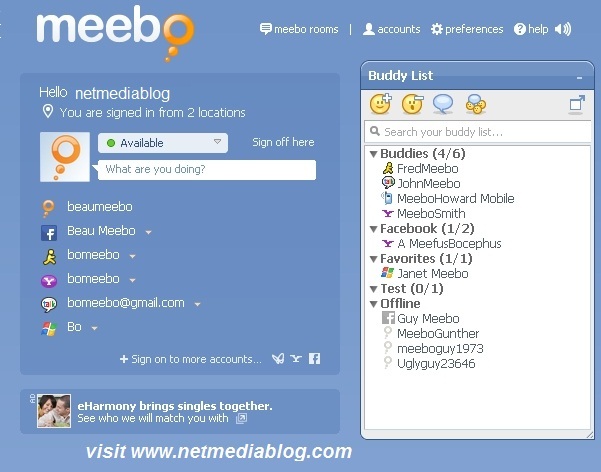 Meebo: Meebo is a web application that has replaced the normal desktop chat client. You can now simply go to meebo.com and login to any IM network like Gtalk, Yahoo messenger, Facebook chat, AIM, MSN etc and chat with your friends. And the beauty is that you can login to multiple accounts at a time. Eset Online Virus Scanner : imagine you can now scan your computer online without installing or updating your out-of-date antivirus? Eset Online Virus scanner is an online Virus scanner you can use to scan your files of whole computer online via your browser. Infected files will be quarantined for you to either restore or delete. I say this web application is a great tool. iCloud: Now this is the blockbuster, imagine a web application that replaces your original operating system? iCloud is a web OS that will replace the normal OS in our system soonest, it will provide you with hundreds of built in applications like music player, office suite, chat client, games and even more. Acrobat.com: This web application is a great tool for every computer user, its services are free and you can now view all your office documents and even many more document formats on this application. You can also convert and view PDF files with this application. It simply replaces your Office suite. Kongregate: This is a web application that allows you play your desktop games.There are so may games you can choose from to play on this application. Wobzip: Wobzip is an unzipping web application you can use to uncompress any compressed or zipped files online. If you ever run into any situation where you have to unzip a zipped file but don’t have any unzipping software installed on your system, remember to use the Wobzip to unzip and view your files. Wobzip supports wide variety of formats like 7z, ZIP, GZIP, BZIP2, TAR, RAR, CAB, ISO, ARJ, LZHCHM, Z, CPIO, RPM, DEB and NSIS. 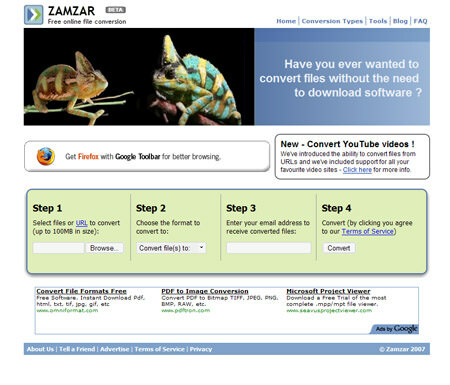 Zamzar: Zamzar is a file conversion web application that will help you convert files from one format to another. Be it audio files, video or documents, zamzar can help you convert it from one format to another without installing any application on your system.